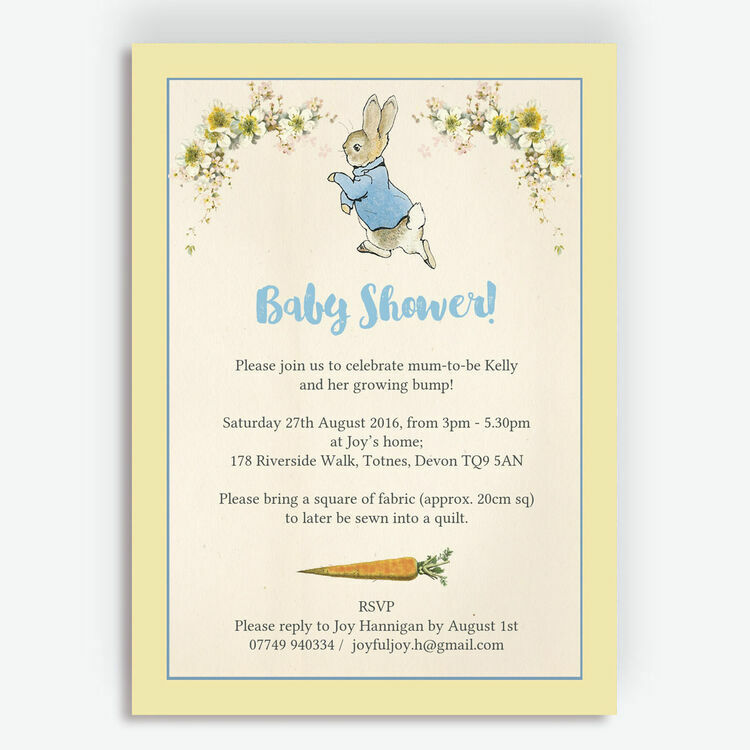 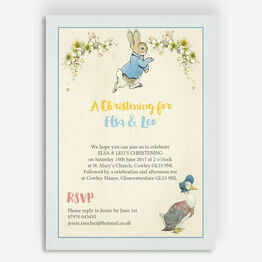 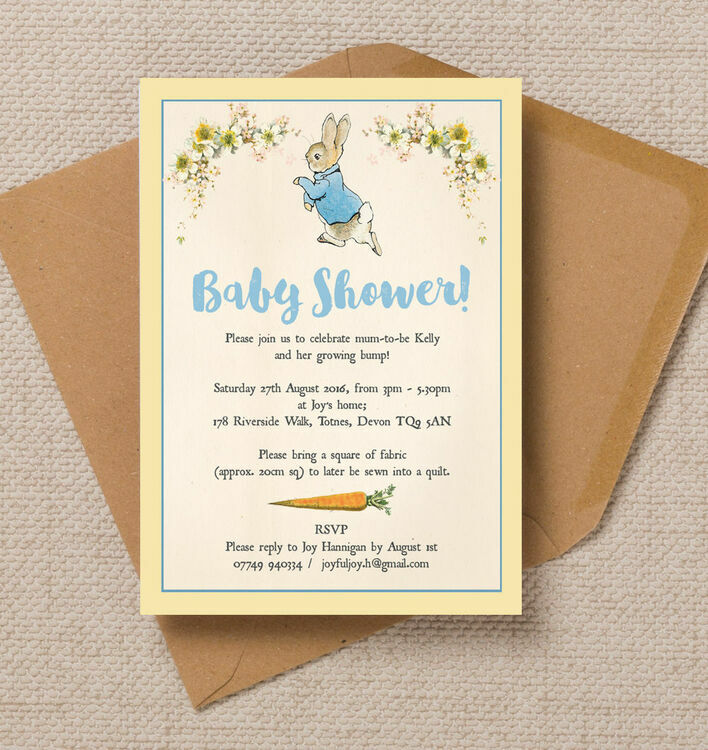 This charming Peter Rabbit baby shower invitation will help you gather your friends and family together and build up the excitement for your special celebration. 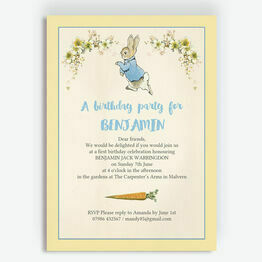 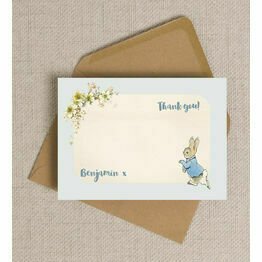 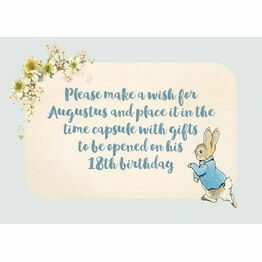 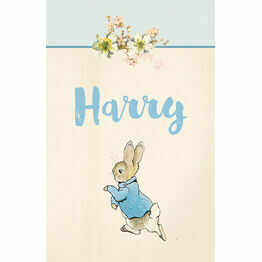 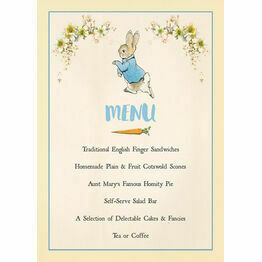 with a vintage background, a pastel yellow border and an adorable illustration of Peter Rabbit along with his carrot. 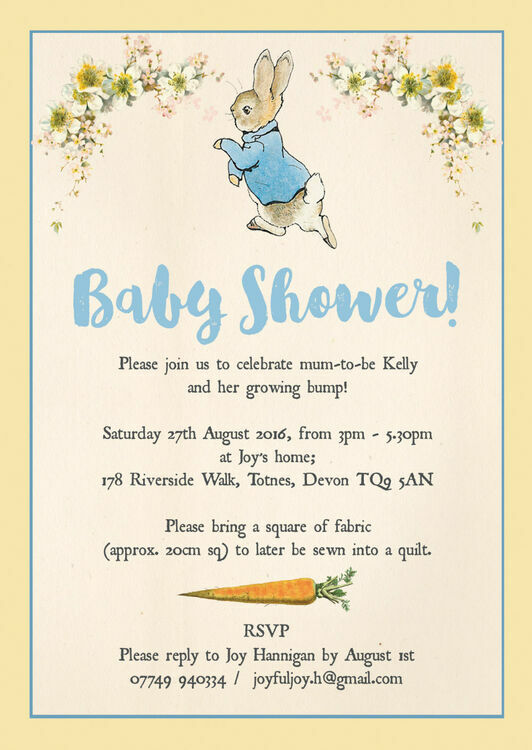 This invite can be professionally printed and delivered, or downloaded as a personalised PDF and printed at home. 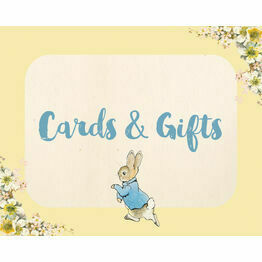 I love the items I received ! 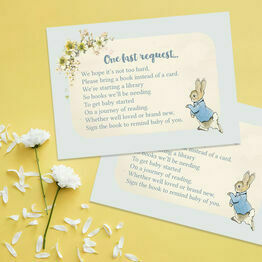 They are everything I expected and more quick delivery and came in a lovely bag !!! 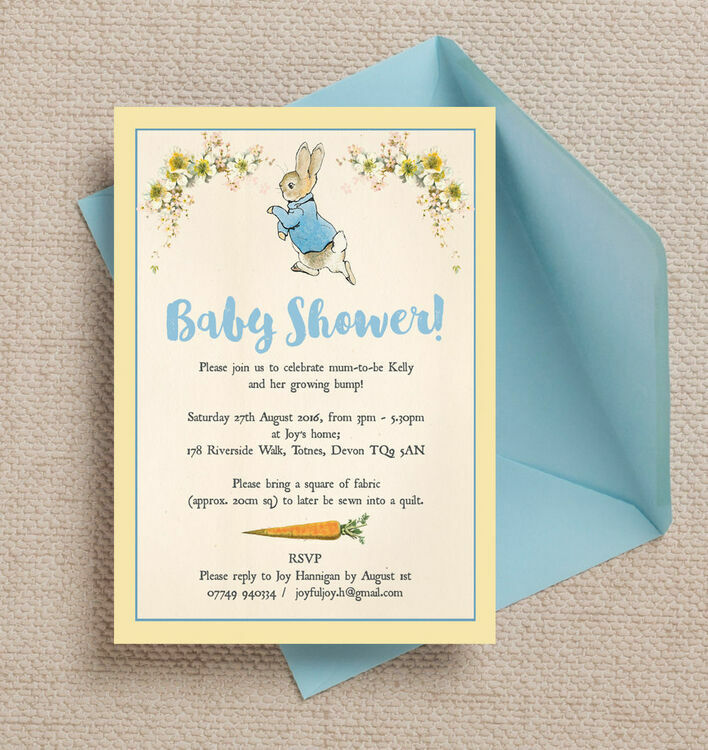 Thankyou so much it’ll make my sister very happy for her baby shower ! 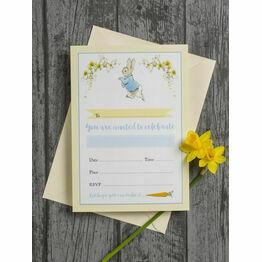 The mum to be liked it very much.